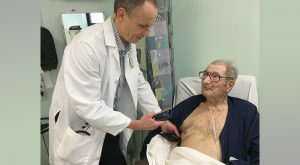 Veterans in New York City are benefitting from a new ultra-portable ultrasound device, the Butterfly IQ. The size of an electric razor, it plugs into an iPhone and screens the patient at the bedside. The post Veterans benefit from new portable ultrasound device appeared first on VAntage Point.